Amazed by this story? Share it with other pet lovers. Thirteen years ago, Jennifer Good was gift shopping at a local strip mall when she passed by a pet store. Jennifer’s husband at the time convinced her to step in and take a look. 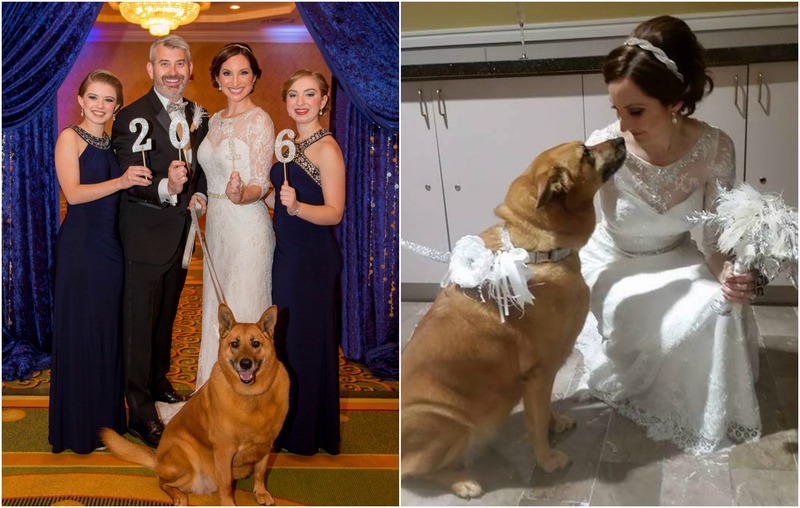 Jennifer hadn’t had a dog since she was a child and had no intention of re-kindling that type of companionship… until she laid eyes on a tiny red haired Chow and German shepherd mix puppy. Since that fateful day, Jennifer and Sadie have embarked on a long journey together, which has featured major changes in both of their lives. Jennifer has since re-married, made significant career alterations, and moved homes. 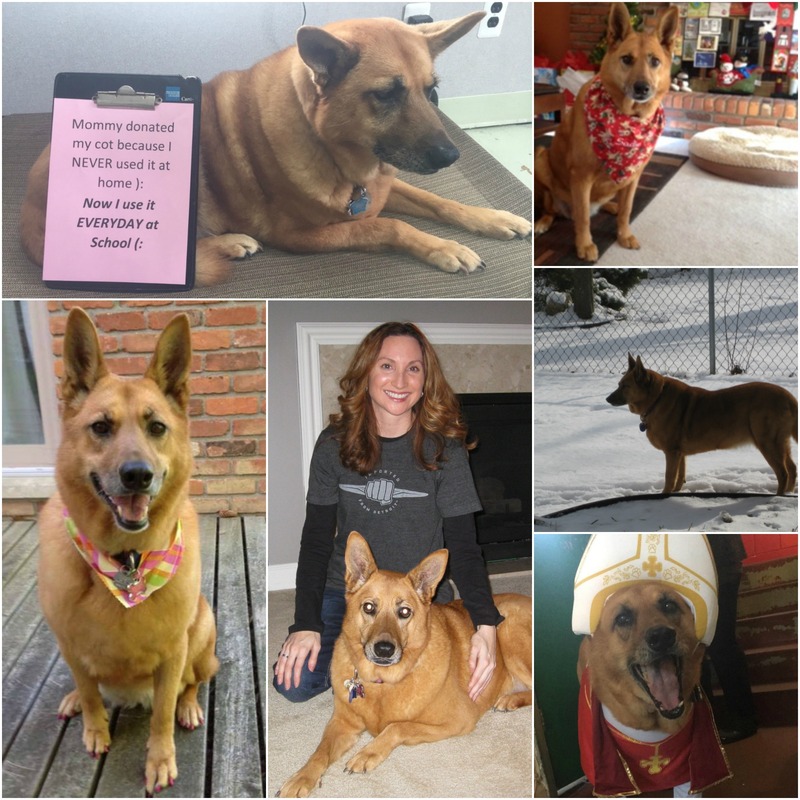 The one constant in her life has always been her faithful fur-ball, Sadie. Sadie is loved by many people, including the staff at Happy Hounds Dog Day Care and Lodging. The lovable mutt has been going to the same doggy daycare center every Monday through Friday for nearly 10 years and has become a fixture in the staff’s day-to -day lives. 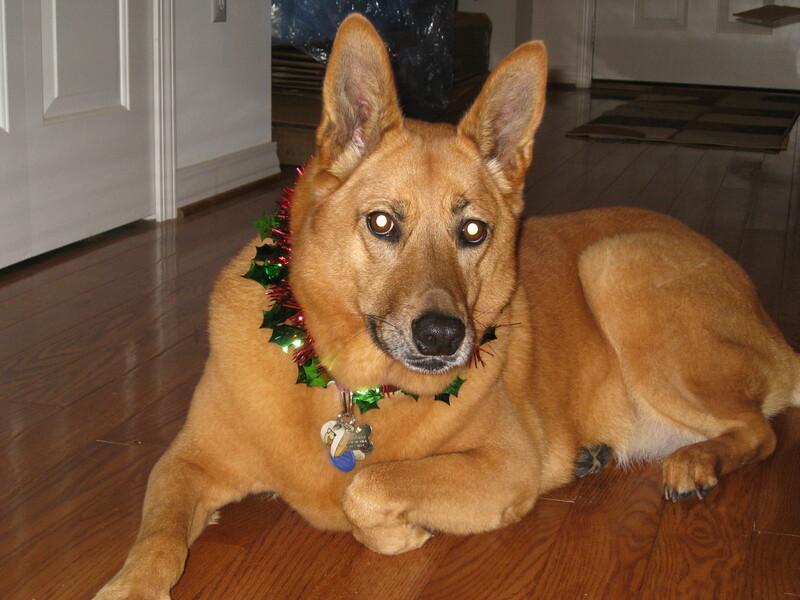 Sadie has appeared in numerous calendars and newsletters for the organization and was even included in a memorial picture for the company’s recently deceased founder. One day, the daycare staff dealt with much more than Sadie’s selective hearing when they noticed blood in her urine. The staff immediately contacted Jennifer and explained what they had found. Jennifer picked Sadie up and went straight to the veterinarian. The team ran preliminary tests, and diagnosed Sadie with a Urinary Tract Infection and sent the duo home with medication. However, the medication proved unresponsive and Sadie continued to spot. Jennifer continued to monitor the situation hoping for an improvement, until Sadie had an odd incident. Once at the emergency hospital, the staff ran initial tests and recommended that Sadie be seen by one of their staff specialists. The specialist took further X-rays and the results brought forth devastating news. Sadie had a tumor on her bladder. Jennifer decided to take Sadie to the Animal Cancer and Imaging Center in Michigan to find out what types of treatments were available to Sadie had. The staff ran further tests and set forth a plan of attack. A few weeks into her initial treatment Sadie seemed to be doing better, until Jennifer got another call from the daycare center. The staff explained that Sadie was bleeding again and this time was worse than before. With that recommendation, Jennifer and Sadie dressed in Spartan green and headed to the campus fueled by hope. Sadie underwent advanced screenings that were able to pinpoint the exact area of her tumor, which was located in a difficult area. After receiving the results of the extensive tests the staff gave their recommendations to the team at the Animal Cancer and Imaging Center, and Sadie immediately started on a new chemotherapy program. The vigorous treatment schedule included intravenous chemo treatments followed by antibiotics, prescriptions for pain and stomach medications. However, the concoction of treatments has worked. 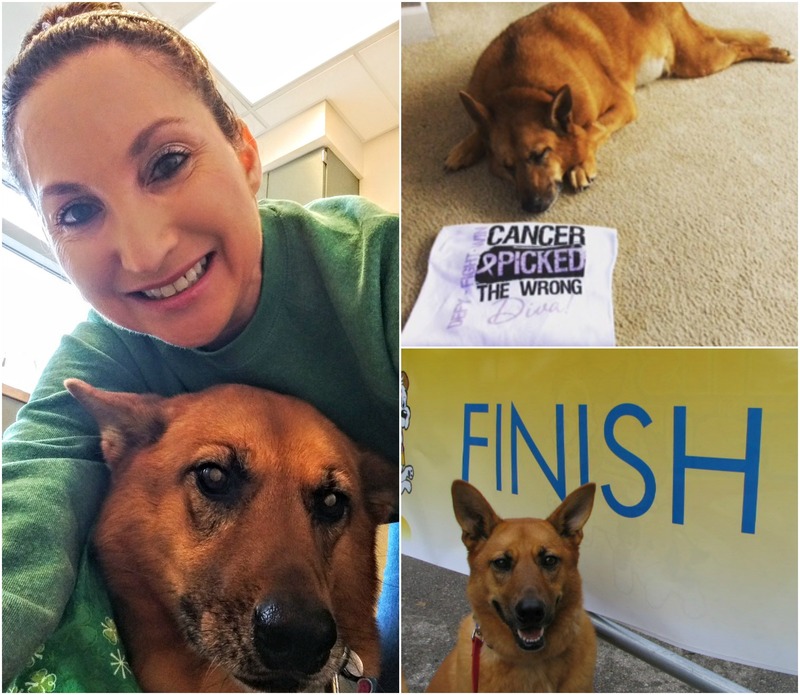 Sadie’s tumor is stable and while she may never be completely cancer free, she is now blessed with the opportunity to finish her final years in happiness. As of today, Sadie is still fighting and has progressed to an easier form of oral based chemotherapy and is reacting well. 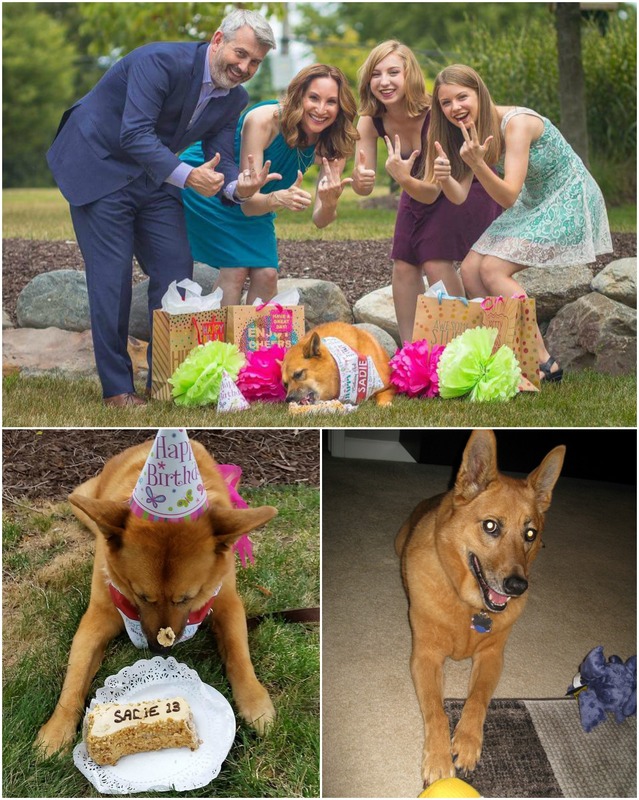 Jennifer and the whole family recently celebrated Sadie’s 13th birthday and surprised her with a large puppy cake. Sadie hasn’t lost a step and still yearns to play with her friends at the day care center and never misses an opportunity to cease a treat. You can help support pets like Sadie throughout November during National Pet Cancer Awareness Month by sharing this story with the #CurePetCancer. During the Month of November, Nationwide will donate $5 to the Animal Cancer Foundation for every picture, story or post on Facebook, Twitter or Instagram using #CurePetCancer. Visit http://www.curepetcancer.com to find out how you can raise awareness and $50k for cancer research. Don't miss a single crazy pet story or health tip.